Amazon's new 4K HDR streaming stick costs just $50 and adds TV controls to the remote. 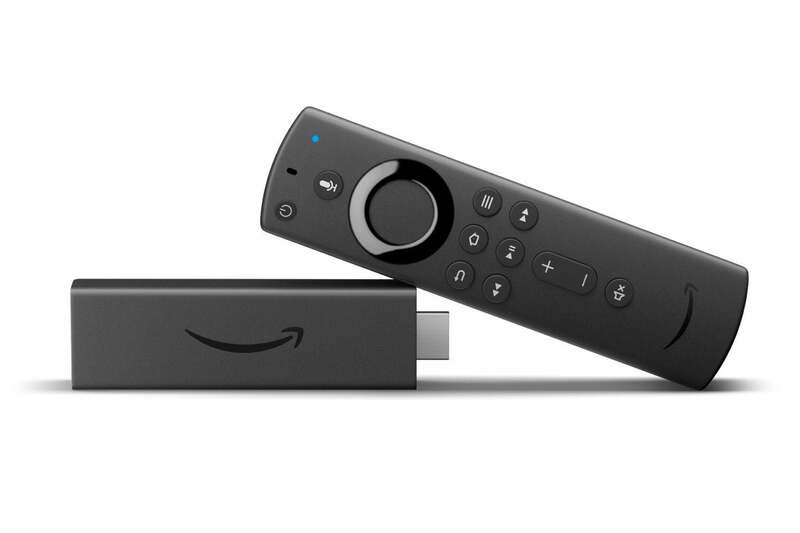 Amazon is ready to take on Roku this holiday season with the Fire TV Stick 4K streaming player. The new dongle is 80-percent faster than the standard Fire TV Stick, and it supports 4K HDR video in both the Dolby Vision and HDR10+ formats. More importantly, it includes a new remote with buttons for volume, power, and mute, so you no longer need a separate remote (or a Sideclick) to control basic TV functions. Why this matters: Despite having more than 25 million active users worldwide—more than the 22 million claimed by Roku last month—Amazon seemed to have lost the plot with its streaming players over the last year. The Fire TV pendant was in some ways a step backward from previous Fire TV boxes, especially in performance, and while the Fire TV Cube’s hands-free Alexa controls are impressive, its lack of remote volume controls makes controlling the TV needlessly frustrating. The Fire TV 4K corrects some of Amazon’s biggest missteps, while also undercutting Roku’s comparable Streaming Stick+ by $20. It’s worth noting that the Fire TV Stick 4K isn’t just faster than the basic Fire TV Stick. It should also outperform the Fire TV Cube and Fire TV pendant. Those devices have a 1.5GHz quad-core chip inside, which Amazon says makes them 40-percent more powerful than the Fire TV Stick. By comparison, the Fire TV Stick 4K has a 1.7GHz processor that’s 80-percent faster than the non-4K version. For 4K HDR TV owners, the Fire TV Stick 4K also has the advantage of supporting both Dolby Vision and HDR10+. Compared to HDR10, these formats can optimize color on a per-scene basis if the content supports it. (Amazon Prime Video offers selections of video in HDR10, HDR10+, and Dolby Vision, while Netflix supports HDR10 and Dolby Vision only.) Amazon has no plans to support HDR10+ or Dolby Vision on its older 4K Fire TV devices. Even the Fire TV Cube’s support for hands-free Alexa voice commands might not be necessary, given that you can bundle a Fire TV 4K with an Echo Dot speaker for a lower price of $80. You won’t get the cable box, TV volume, and A/V gear voice controls that the Fire TV Cube offers, but you can still control basic playback and launch video in apps like Netflix, Amazon Prime, and Hulu. (Speaking of bundles, Amazon will also sell a pair of Fire TV Stick 4K devices for $90, and will offer the Fire TV Stick, Fire TV Recast over-the-air DVR (regularly $230), and a 35-mile antenna for $250. Amazon’s Fire TV lineup now fares much better against rival Roku, which recently padded out its own 4K device lineup with the new $40 Premiere and $50 Premiere+. The former gets bragging rights for being the cheapest 4K HDR player, but it lacks TV volume and power controls, doesn’t support HDR10+ or Dolby Vision, and uses an aging 802.11n Wi-Fi adapter instead of the latest 802.11ac. The latter adds those TV controls, but otherwise has the same issues. For modern Wi-Fi connectivity, you would need the $70 Roku Streaming Stick+, which still doesn’t support HDR10+ or Dolby Vision. Granted, Roku’s software is much simpler and less Amazon-centric, and Amazon says not to expect any major changes to its own Fire TV OS, whose chaotic menus and intrusive banner ads have dragged down our review scores in the past. We’ll be eager to review all these new devices and render a proper verdict soon.